In previous months, we’ve taken a look at general tips for different platforms, and gone over Twitter 101 writing strategies. Now it’s Facebook’s turn to come under the microscope. With a longer character length, photo sharing capabilities and more, Facebook offers a lot of opportunities for brands to reach out and connect with their audience members. Here’s how to write updates with impact. Keep Your Tone Friendly and Positive – Or Not? 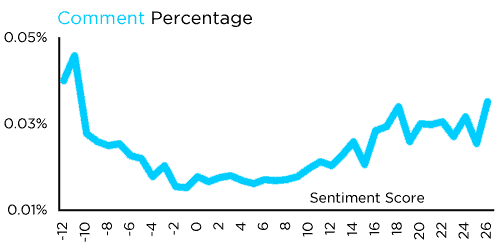 We all know that social media is a friendly marketing medium – but does sentiment really effect engagement? Turns out it does! According to Dan Zarella’s social media research, posts with a positive tone get more likes than those that have a neutral or negative tone. However, when it comes to comments, posts with a negative tone get more response. Does this mean you should go negative and critical? Before you write in this style do some brand evaluation. 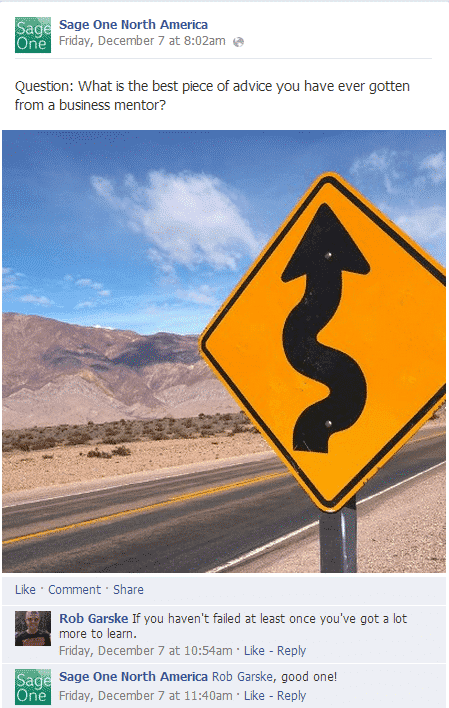 Does going negative fit with your brand? Are you known for getting down to the bottom of the issue or would it make more sense to keep things light and informative? Just because the research shows that you’ll get more comments by going negative doesn’t mean that you should. For most brands, helpful and friendly seems to work just fine. Check out how Coca Cola captures their light, fun style with their writing. Unlike Twitter, Facebook has a much longer character post limit – it went from 500 to 50000 within the last year. But you crowd your message with too much text, keep the following in mind. 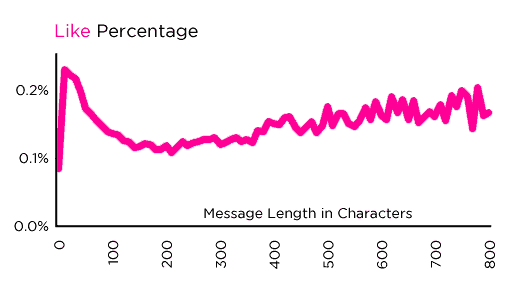 Buddy Media research shows that posts with less than 80 characters are 23% more engaging than longer posts. More than that can hurt interactions. 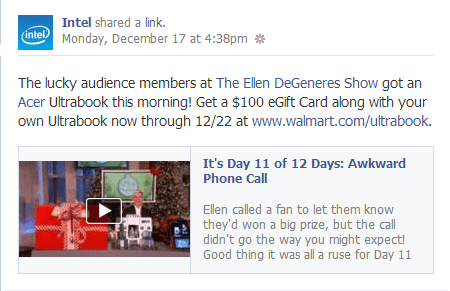 Since Facebook is a visual medium, large blocks of text just aren’t as appealing as short, snappy statements. Dan Zarella’s research backs this up as well. Very short posts do best in terms of likes. Intel enhances their shared links with a short statement of two sentences, plus a URL. Keep it short and sweet just like they do – but be sure to review your page’s analytics to find out what works best for your brand. 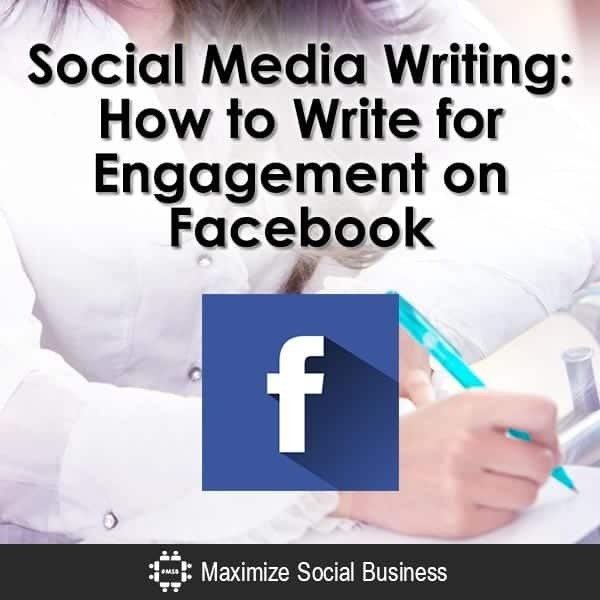 Carrying on a great conversation in person means asking questions – and engaging Facebook writing is no different. Queries at the end of posts can encourage comments from readers, and brands know this for sure. Buddy Media found that 29% of all posts on Facebook include questions. But you need to ask in the right way. Think of your question as a call to action. It needs to be direct, clear and not open ended. Rather than asking a broad question about a shared resource or topic, you need to get specific. Questions that require a yes/no answer or a simple response is easier to answer, and therefore, more engaging for fast-paced Facebook users. Sage One gets specific with their poll about business mentorship. Not only do they ask about mentorship, they ask about specific advice that entrepreneurs have received. Jones Soda’s simple question launched over 400 replies. In a future post, we’ll explore some advanced sharing and writing strategies for Facebook engagement. In the meantime, review your past Facebook posts and see if they meet these engagement criteria. How are you going to make changes?